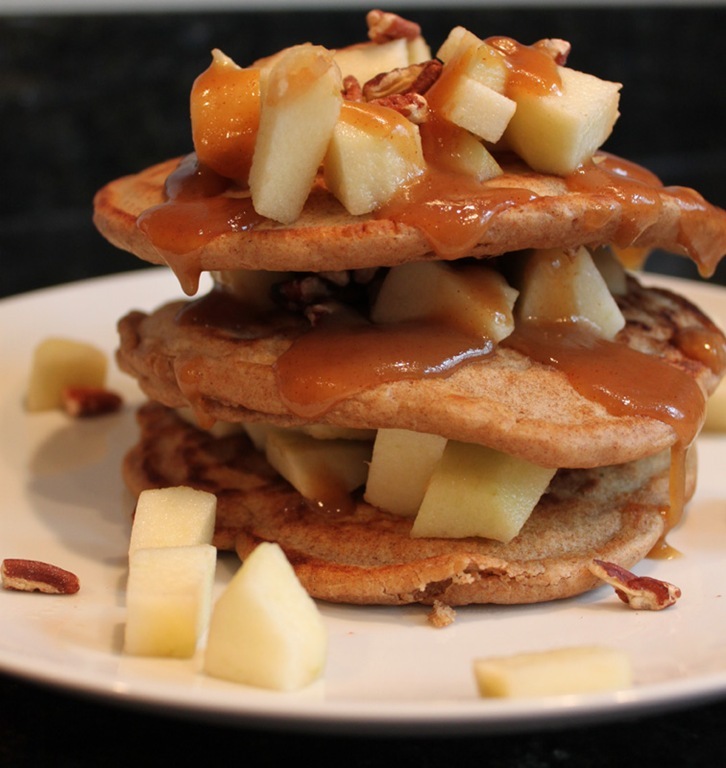 Despite wanting to find some new and unique ways to use our apple bounty, I also did want to try a few classic applications – pancakes being one of them. I thought about the many ways I could incorporate the two but opted for the following recipe I made up this weekend. 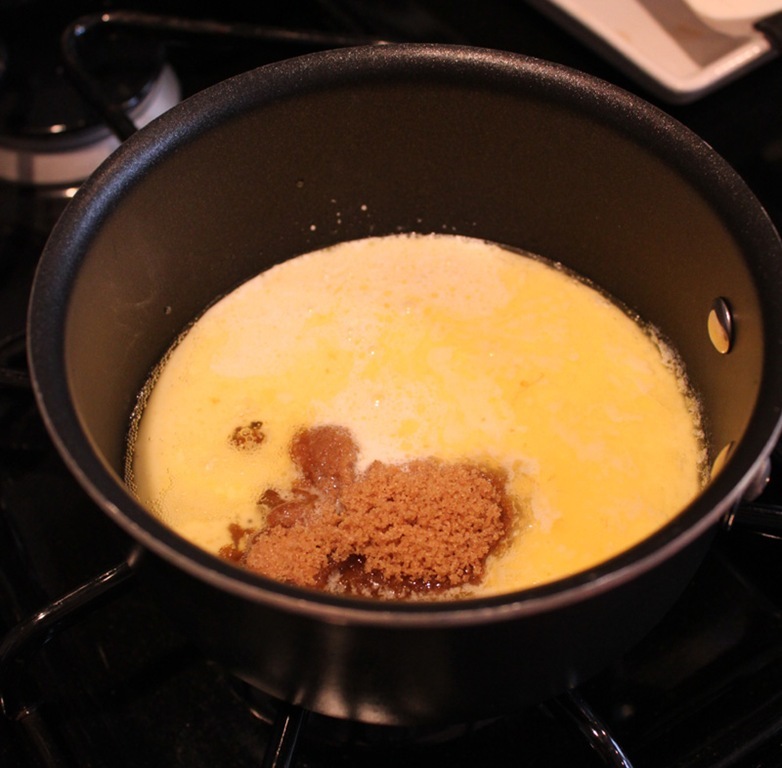 There’s a lot of ingredients here but the method is fairly simple. Pancakes! 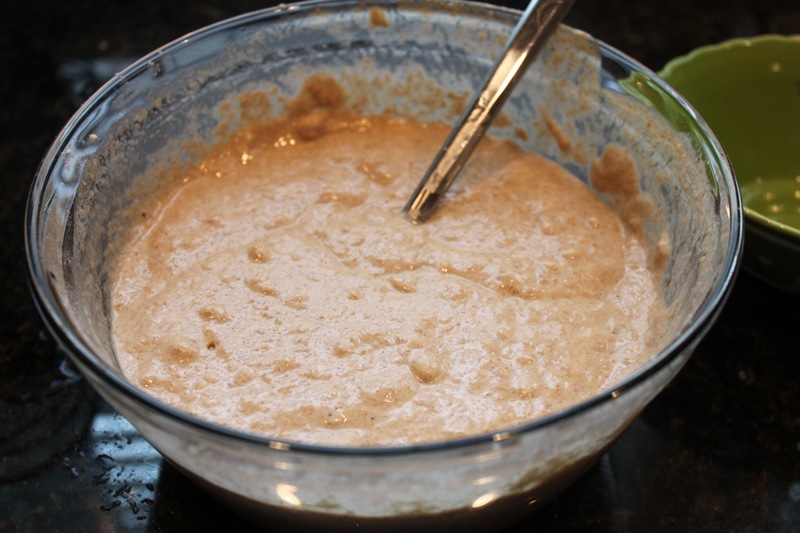 I adapted this King Arthur whole-grain pancake batter recipe to create my own version. 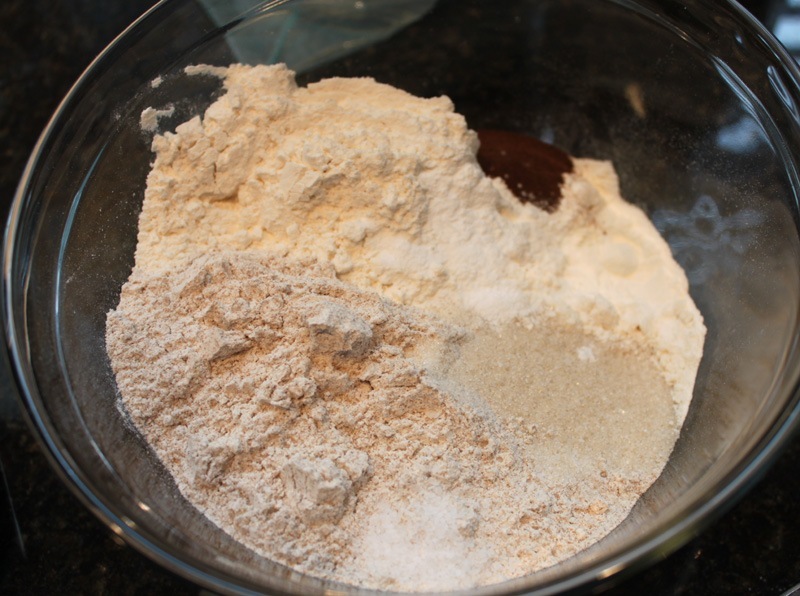 It’s extremely simple – combine all of the dry ingredients together in a big bowl, add all the liquid ingredients, and mix together thoroughly. 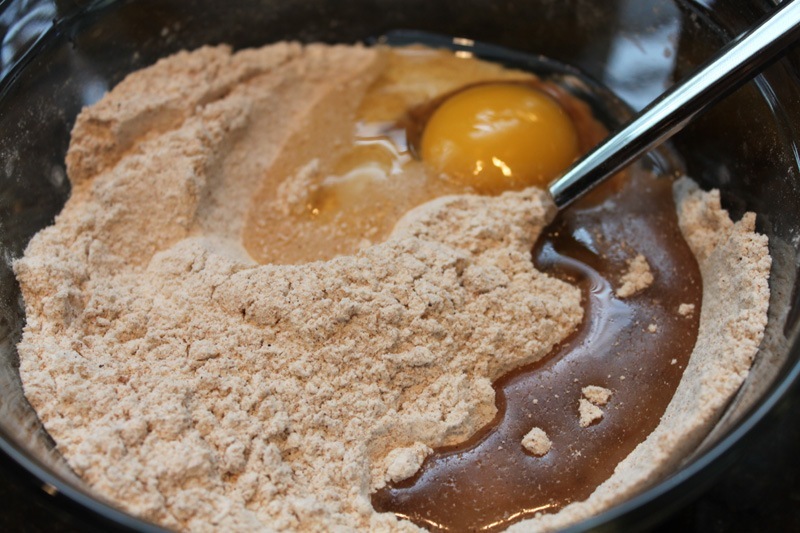 Put the batter aside as you prepare your butterscotch sauce and apples. 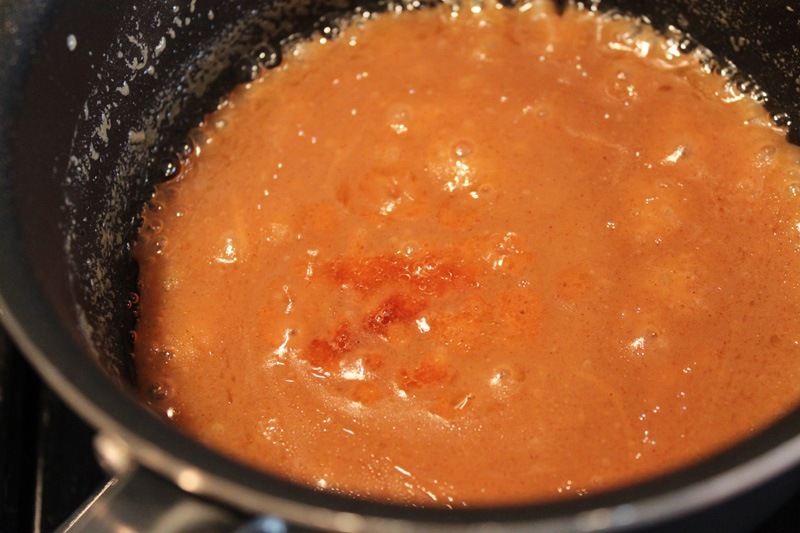 I used the ever classic, always delicious Smitten Kitchen Butterscotch Sauce recipe for this meal. 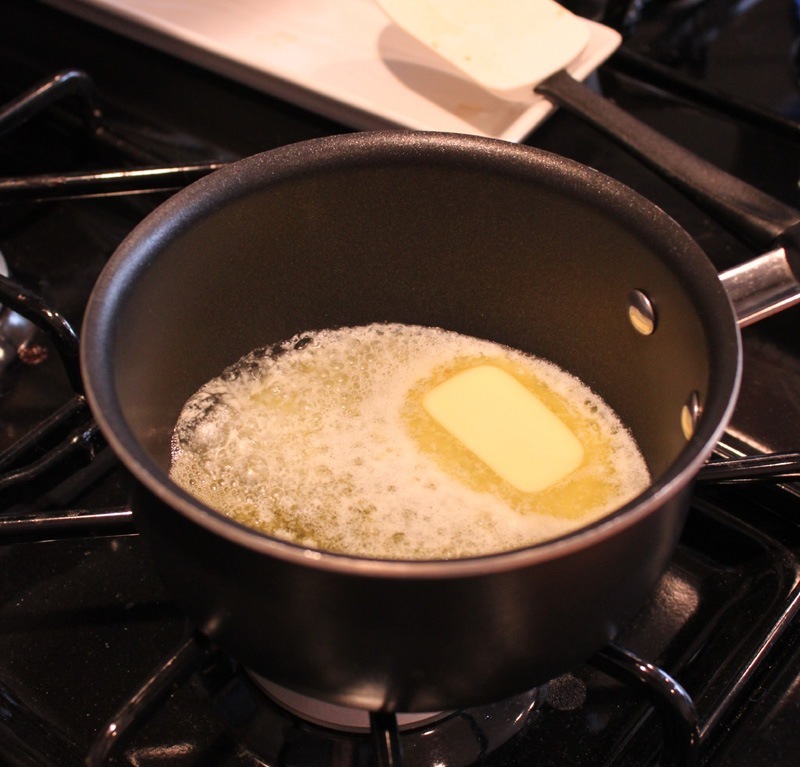 Melt the butter over medium heat, add sugar and cream, and bring to a slight boil. 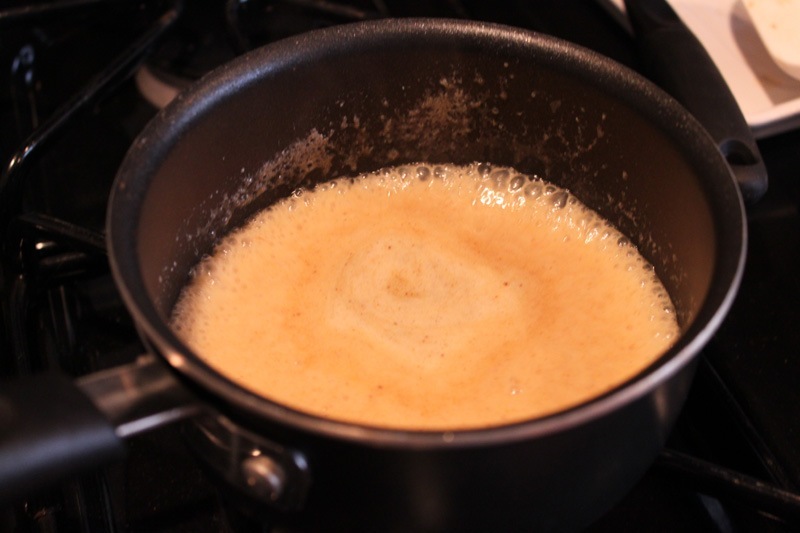 When the sauce has reached a deep butterscotch color add your vanilla, stir to combine, and remove from the heat. 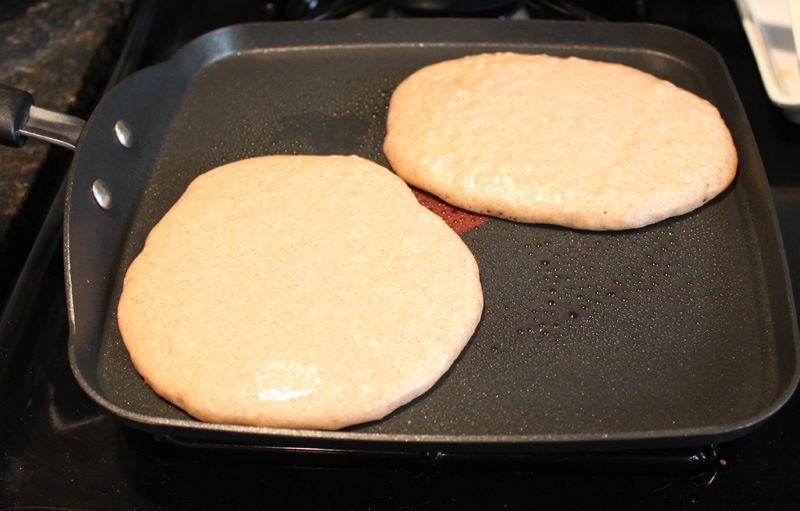 To cook the pancakes I sprayed my griddle with non-stick spray, made two medium sized pancakes, waited until the edges bubbled, and flipped. 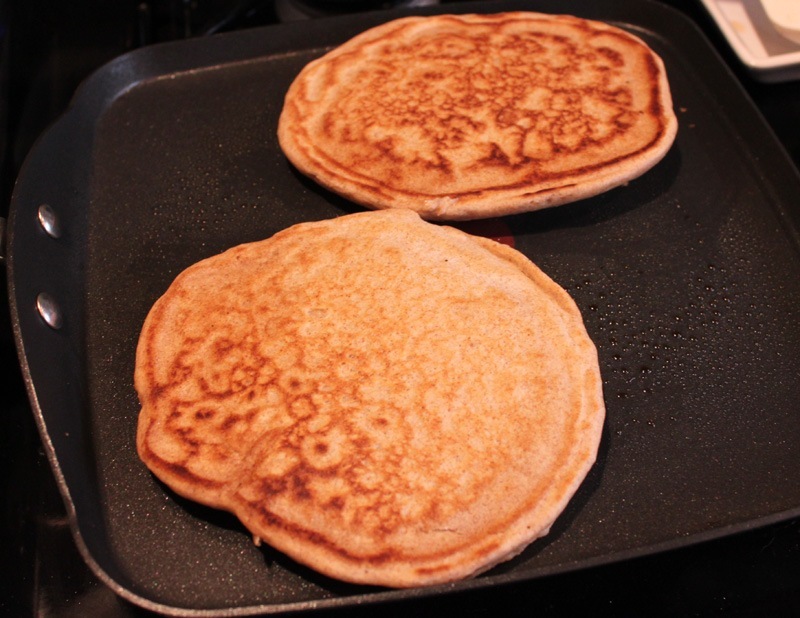 Each pancakes takes 2-3 minutes per side to cook. And the best part? You can make them as big or small as you want. To make the final product I created an assembly line on the counter. 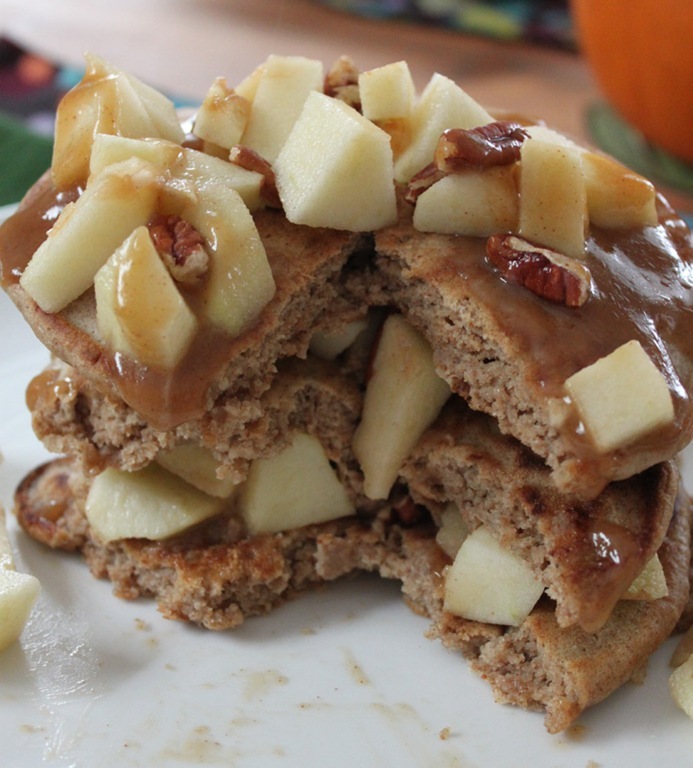 I made three layers with three pancakes, butterscotch, apples, and pecans in between. Feel free to get creative here! 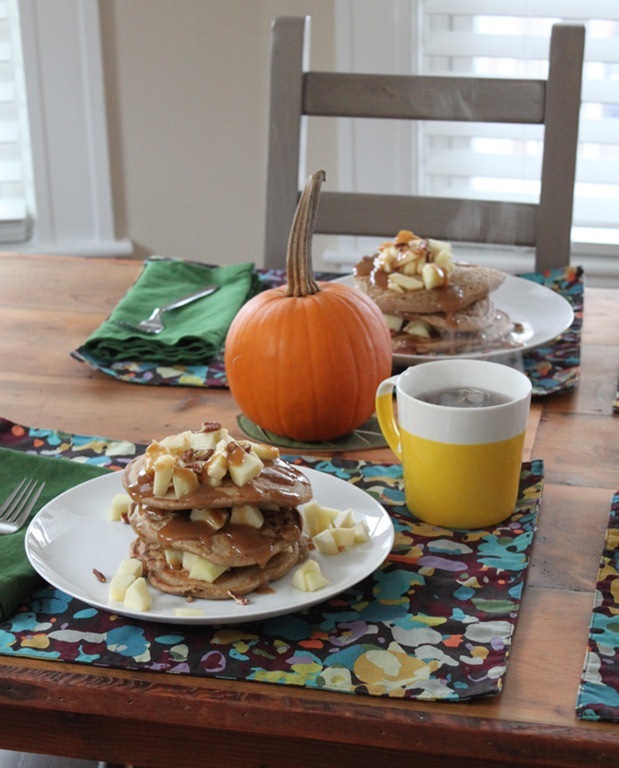 What is better than a pancake breakfast on a Saturday morning? I haven’t but now I feel like I should! Thank you, they were! Hopefully not too awesome that the hubs starts regularly requesting them, they’re a little time intensive!